On March 4 MCU leadership held a meeting with a renowned Israeli educator and pioneer of democratic education Mr. Yaacov Hecht. Mr. Hecht is the founder of Education Cities — the Art of Collaborations, a social enterprise that is aimed at developing the art of collaborations in the classroom, in school, municipally and nationwide. 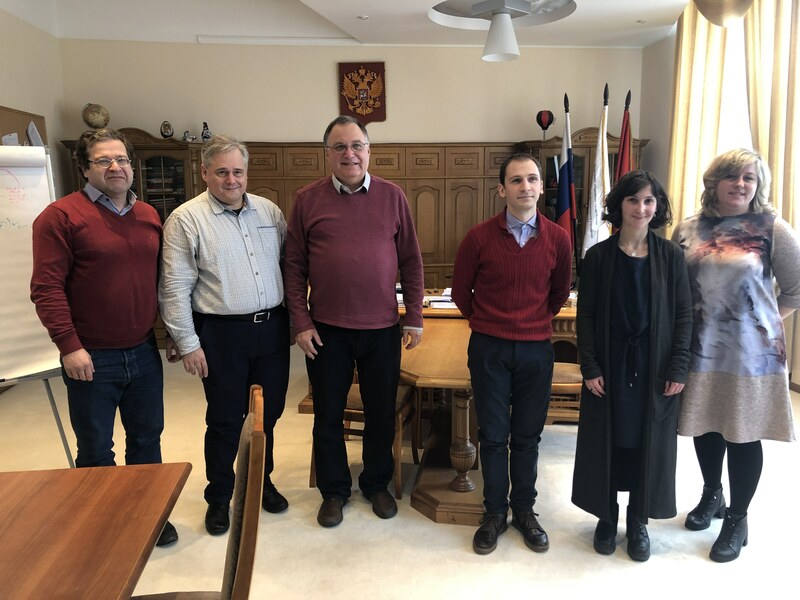 At the beginning of March Mr. Hecht arrived in Moscow with a series of lectures to share the new teaching practices for children of the 21st century and the expertise of efficient online learning. The Education Team is a group (of teachers, heads of teachers, students) with a common goal. To achieve this goal, each team member receives a role that best suits their skills, utilizes their areas of strengths, and expresses their creativity. Acknowledging and empowering the individual is an essential prerequisite for the Education Team’s success, and the individual, on his/her part, is committed to the team spirit and to achieving its goals. This approach is aimed at cultivating in children the skills of collaboration and team work that are essential to build a successfull career in the future. How to complete online learning courses with 90% efficiency? 1. Every student is also a teacher. As a team players, each student has a strength area that enables him/her to teach and support other team members, while at the same time, he/she benefits from the strength areas of other team members. 2. The Education Team has a shared goal which transforms the team members from opponents to partners – Education Team members are accountable to one another and to the common goal, very much like in a sport team. The shared goal may be a shared grade (grades’ average); boosting the class’ morale, etc. This approach is becoming popular in Israel, supported by the Israeli Minister of Education who decided to expand its application to 50 classrooms in the 2015-2016 school year, with a goal of offering an academic level MOOC course in every school. Mr. Yaacov Hecht holds lectures to share the new efficient approach with the peer teachers and educators around the world. MCU Rector Igor Remorenko met with Mr. Hecht to discuss the prospects of applying such innovative teaching models at Russian schools and higher education institutions.